About five years ago, Microsoft created an internal carbon tax of sorts. Since then, business units have been responsible for carbon emissions associated with their electricity use and air travel. This year, the company began estimating the carbon footprint of its business travelers’ hotel stays. It will assess whether to include that information in calculations for the carbon charge. Meanwhile, the $85 billion tech giant also intends to help travelers understand the environmental impact at each stage of their journeys, based on their travel persona. Marta Rodriguez Martinez, a Microsoft travel manager focused on business intelligence and analytics, during the GBTA convention last month said budgets and trip purpose are the primary factors in travel decision-making. 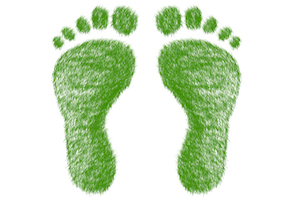 Employee awareness about their carbon footprints, though, can help change behavior. Segmenting travelers based on travel patterns is part of the effort. Microsoft travelers are grouped into four categories: road warriors, frequent travelers, occasional travelers and cautious planners. She pointed to frequent domestic travelers who often need ground transportation. “Taxis and car rental are scenarios you can start influencing if you understand the type of traveler,” she said. As such, data on usage of those options (as well as Lyft and Uber) will be integral to Microsoft’s travel persona analyses. The carbon charges are based on each business unit’s emissions in the previous year. They are administered by Microsoft’s environmental sustainability and corporate finance departments. The cost to a business unit accounts for any initiatives in place to offset its environmental impact. “It is literally how much you polluted the world versus how much you have contributed to saving it,” Rodriguez Martinez said. Thus far, air emissions are the only travel impact covered by the carbon tax. That’s partly because Microsoft wanted to keep it simple and because air emissions by far contribute the most to the company’s travel footprint. Microsoft’s car renters drive around 30 million miles annually. Its business flyers log 1.5 billion miles — using much bigger engines. That’s according to a “back-of-the-napkin” calculation by director of travel, venue sourcing and payment Eric Bailey. Bailey noted that Microsoft preliminarily looked at the carbon footprints of hotel stays five years ago when it achieved carbon-neutrality — a status it has maintained ever since. “As we started combining data sources this year and we got a better handle on exact hotel room nights used, Marta used some industry standard hotel footprint numbers to estimate the impact,” he added. Microsoft now calculates that impact based on CO2 conversion factors provided by the U.K.’s Department for Environment, Food & Rural Affairs. The company uses 36.4 kilograms of CO2 equivalent per room night. Microsoft includes that data, along with air emissions, when calculating each individual traveler’s carbon footprint. Travelers can view theirs in an online portal that also shows travel history and compliance metrics. “It’s not a fancy calculation,” Rodriguez Martinez said of the hotel component. The sustainability team will decide whether to include it in the carbon charge. Though trickier, collecting data on hotel water usage and energy consumption is “doable,” Rodriguez Martinez said. But she doubted it would be used much in traveler decision-making. Asked about measuring the success of the carbon fee, Bailey said the original goals were awareness and accountability. Measuring, reducing and offsetting carbon emissions “of course is right — you just have to figure out how to do it.” From that perspective, he said, Microsoft met its goals. She insisted that the challenge in corporate travel sustainability isn’t measuring; it’s doing something with the measurements. Internally, benchmarking “gets a lot of attention,” Rodriguez Martinez said. Everyone’s data is accessible. This introduces an element of competition — among individuals and among cost centers. Externally, though, Rodriguez Martinez said good benchmarking doesn’t exist. Just because Google or Apple are big companies in the same general sector as Microsoft doesn’t make their travel programs and patterns appropriate for comparison.